In order to boost rooftop solar generation in Delhi, the Delhi cabinet in September approved the ‘Mukhyamantri Solar Power Scheme’. This scheme will offer residents installing rooftop solar panels a subsidy on their electricity bill for a period of five years. Currently, the Indian capital has only 105 MW of solar capacity installed and that too on the rooftops of government buildings. With the new policy, the government is trying to improve rooftop solar adoption in cooperative housing societies. This policy is a successor to Delhi Solar policy 2016, which was already providing an incentive of Rs 2 per unit on solar generation from 2016 to 2019. As per the new scheme, customers will not have to spend any money on installation. It will be free for them and done by a few selected installation companies. The cost of electricity generated through the solar power for group housing societies will be around Re. 1 per unit, taking into account Rs. 2 of solar subsidy to be provided by the government. 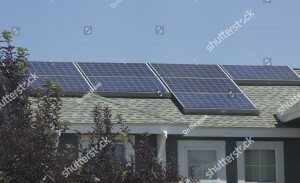 The electricity generated by solar power could be used for lighting common area, running elevators and water pumps etc. in the residential societies. Around 100 societies already signed up for installation of solar panels under Phase I implemented in southwest Delhi’s Dwarka, and 1.5 MW of solar plants have been installed. The Mukhyamantri Solar Power Scheme is an initiative taken by the power distribution company BSES Rajdhani. BSES, this year, has already powered over 1,000 rooftop solar plants in the capital city, including the Lotus Temple and the Maulana Azad Medical College. The ‘Solar City Initiative’ was launched in January by BSES Rajdhani in collaboration with TERI and GIZ. The second phase which targets to install 15 MW rooftop solar power plants at several group housing societies and government colonies in Shakur Basti, Paschim Vihar and neighboring residential areas over the next few years, was launched on Sunday, October 28th. The India capital city is a concrete jungle with a large number of buildings, ideal for rooftop solar installations. The city has a huge rooftop solar potential and these initiatives should help realize a bit of it. Please let me know that, is this Mukhya Mantri Solar Power Scheme only for Delhi… can we get this benefit in Pune also.